Adam Ozimek tweets that I have a “well documented hate of price discrimination.” That’s a little strong, but I’ll cop to a fair amount of skepticism about the way price discrimination often plays out in the consumer world. works perfectly, it’s so efficient that your average widget price might well be less than it would be under a single-price regime. That’s a win-win-win. There are, of course, plenty of problems with price discrimination in practice. For starters, it’s hard to know what price everyone is willing to pay. Maybe I’m willing to pay more for an apple than you are, but how is the apple vendor supposed to know that? It’s not like he can ask for a copy of my 1040 before he rings up the sale. There’s also a PR problem: most of us think it’s unfair to be charged more than someone else for the exact same product. So you have to figure out some way to hide what you’re doing. And there are practical problems as well. Setting a single price is easy. Keeping track of multiple prices and figuring who gets which price is expensive. Often, it’s expensive enough that it outweighs the benefit of broadening your market. Nonetheless, there are some classic cases where price discrimination works. College tuition is one: if you’re rich, you pay full price. If you’re middle class, you get grants and loans. If you’re poor, maybe you get a full ride. In theory, everyone who’s qualified goes to college, and the college itself extracts the maximum possible revenue from its students. Airlines are another example: people pay widely different prices for the same seat depending on when they fly, whether their ticket includes a weekend stayover, how far ahead they book, etc. In the case of college, price discrimination is possible because, in fact, colleges can ask for a copy of your 1040 before they ring up the sale. And the end result is widely viewed as fair, since most of us think that poor but qualified students should go to college. In the airline example, price discrimination is accomplished by making the product slightly different. It may seem like a seat is a seat, but in fact, a seat on Friday isn’t the same thing as a seat on Saturday. More importantly, a seat on Saturday is far more likely to be a vacationer while a seat on Friday is more likely to be a business traveler, who’s willing to pay more. So far, there’s no big problem here. But now let’s move along to price discrimination in the retail environment. If a supermarket wants to charge different prices to customers depending on what they’re willing to pay, how do they do it? Loyalty cards are one mechanism. Another one, highlighted in the New York Times article that sparked this discussion, is smartphone apps that serve up coupons depending on your purchasing history and where you happen to be standing in the store. So what’s the problem with this? Well, one of the reasons that loyalty cards are worthwhile to supermarket chains is because they allow them to track your consumption habits in detail. They can then sell this information for a fair amount of money. Matt Yglesias suggests that this is “admirably transparent,” but I doubt that very much. Most of us overeducated blog-reading types probably know about this, but among the general public I suspect that the number of people who know what Safeway does with their consumption data is very tiny indeed. But maybe even if they did know, they’d be OK with it. To be honest, that wouldn’t surprise me. But aside from personal pique, here’s what I dislike about this. As it happens, if I want to be a crank about this stuff, I can afford to be. I earn enough that I can decline to use loyalty cards just because it bugs me to think that anyone with money can buy a detailed history of everything I buy. But you know who can’t afford to do that? Poor people. In practice, they don’t have the same choice I do. Even if they don’t like having their purchases tracked, they simply can’t afford to pay the artificially jacked-up prices that supermarkets charge anyone without a loyalty card. (What? You think supermarkets just lower the loyalty price and leave it at that? They don’t. Non-loyalty prices go up to compensate.) So they’re basically forced to share vast amounts of personal data even if they don’t want to. Likewise, who do you think benefits from all those smartphone apps? If you guessed “computer savvy middle class shoppers,” you’re right. But you know who doesn’t have access to these discounts? Bingo: the poor and the elderly, who aren’t very computer savvy. I won’t go on forever about this. I think you get the idea. My problem in general is that price discrimination in the retail world generally benefits the middle class, the non-elderly, and the highly educated. 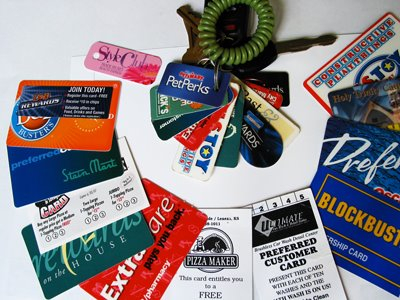 In fact, loyalty card data is often used specifically to attract that class of customers. The lower prices for these groups are subsidized by higher prices charged to the poor, senior citizens, and the not-so-bright. Add to this the possibility that purchasing data can be used to profile consumers — maybe deliberately, maybe accidentally — and suddenly these programs don’t look quite so benign. And keep in mind that these are still early days for data gathering programs like this. An unscrupulous marketer data mining this stuff to target people in the early stages of Alzheimer’s is just one example of how toxic this kind of profiling could become. I’ll confess that I don’t know the magnitude of this problem. Maybe it’s fairly trivial. It’s even possible, I suppose, that everyone ends up benefiting from these schemes and that your consumption history is, in fact, carefully safeguarded. But I doubt it. There’s very little good empirical evidence on the subject, and a big part of the reason is that the retailers who collect all this data are fanatically unwilling to even admit that they do it, let alone cooperate with researchers who want to know what they do with it. It’s a trade secret, they say. And so it is. But the bigger reason is that they’re afraid of what kinds of questions their customers will start to ask if someone shines a spotlight on their activities. In any case, this is why I view price discrimination in the retail market with a jaundiced eye. It doesn’t benefit you as much as you think; the benefits it does provide are largely subsidized by the groups least able to afford them; and it’s normalized the idea that we shouldn’t mind if large corporations and governments (who can purchase it just like anyone else) have access to our personal consumption habits. Maybe that doesn’t matter to an economist who cares only about some mythical measure of “efficiency,” but I think it ought to matter to the rest of us who also care about values and fairness.